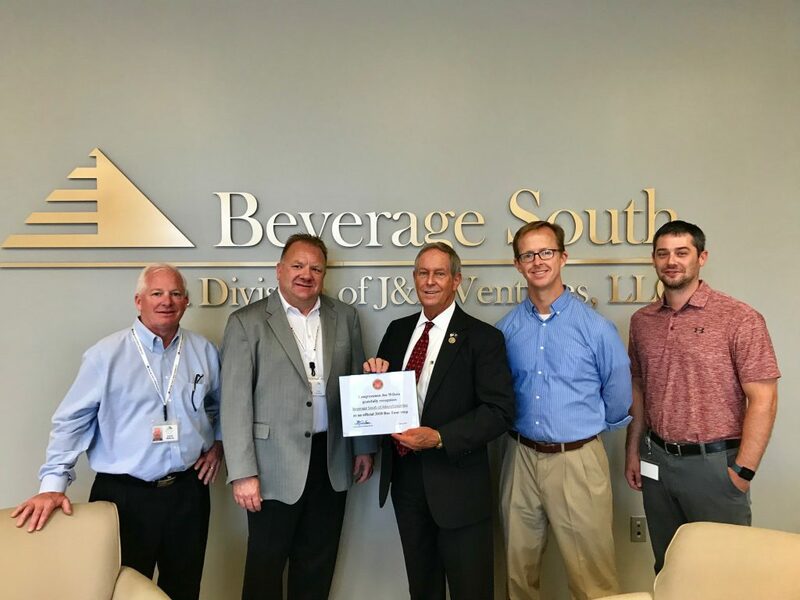 Congressman Joe Wilson (SC-02) recently visited J&L Ventures Distributor Beverage South of Aiken/Columbia during his annual bus tour. The Congressman’s bus tour gives him the opportunity to visit with local businesses. We, at Beverage South of Aiken/Columbia, were happy to be a part of his tour. Congressman Joe Wilson (SC-02), center, along with team members at Beverage South of Aiken/Columbia.